Jungle music has taken on many forms over the years, but one consistent hallmark has been its rich dubplate culture. For many of the sound’s leading artists, every record played in a mix or DJ set comes with its own unique story of how it landed there, often because it will never be heard again. 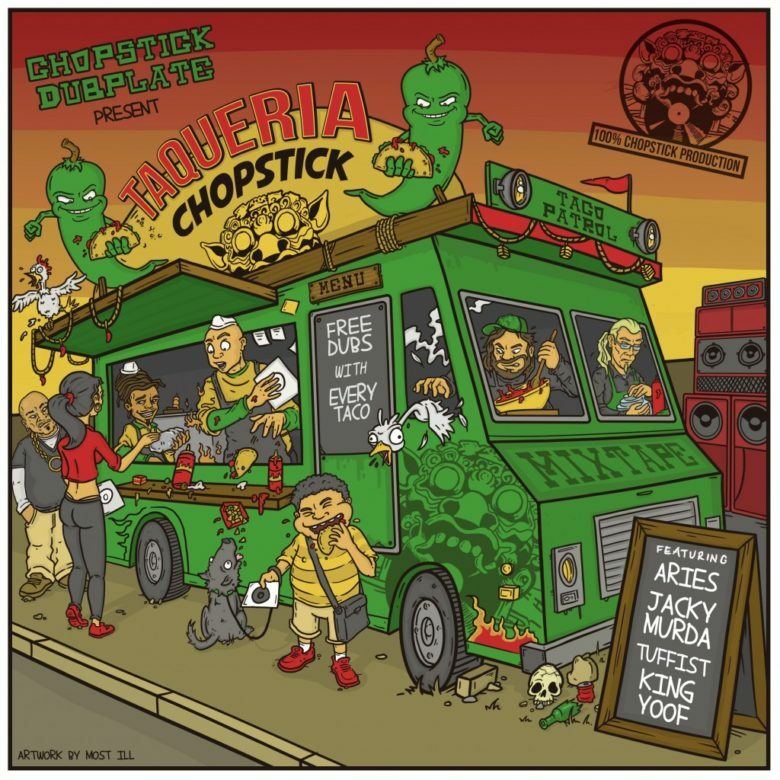 International collective Chopstick Dubplate have shown this throughout their career. While the crew are most obviously affiliated with their Chopstick Dubplate imprint, they’re just as well known for their mixtapes, where they pull together unreleased material from across the spectrum of jungle and ragga music. On 12th January, we invite founding members Aries, Jacky Murda and Demolition Man to play Room One as part of a drum & bass and jungle heavy bill. To mark the occasion, they sent us over a free download of their new Taqueria Chopstick recording, an hour-long mixtape fully stacked with dubplates from the crew and some of their closest peers.